Royal wedding fever is gripping the great city, and I’m trying to put myself in the shoes of the Archbishop of Canterbury who will be conducting the wedding ceremony with a global audience of around 2 billion people tuning in to listen/watch! What a responsibility! What an opportunity! What would I say if I had this opportunity to speak to 2 billion people? 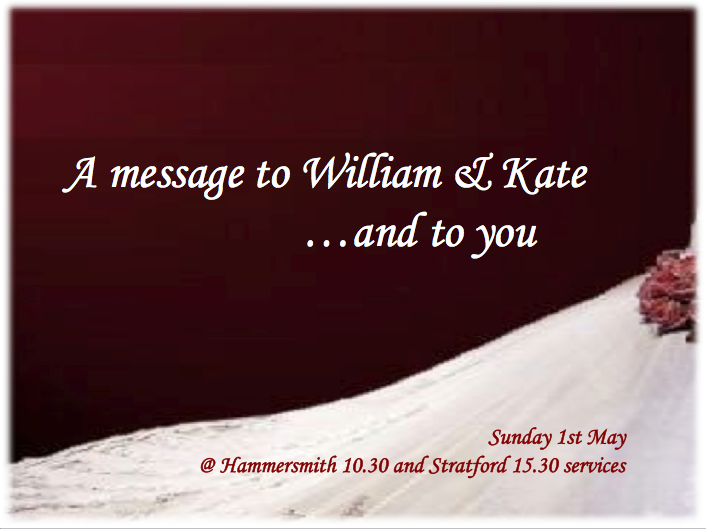 What would you say to William & Kate about marriage, and to the 2 billion others listening?